Anolon Advanced Nonstick 14″ Covered Wok Just $29.99! Down From $100! 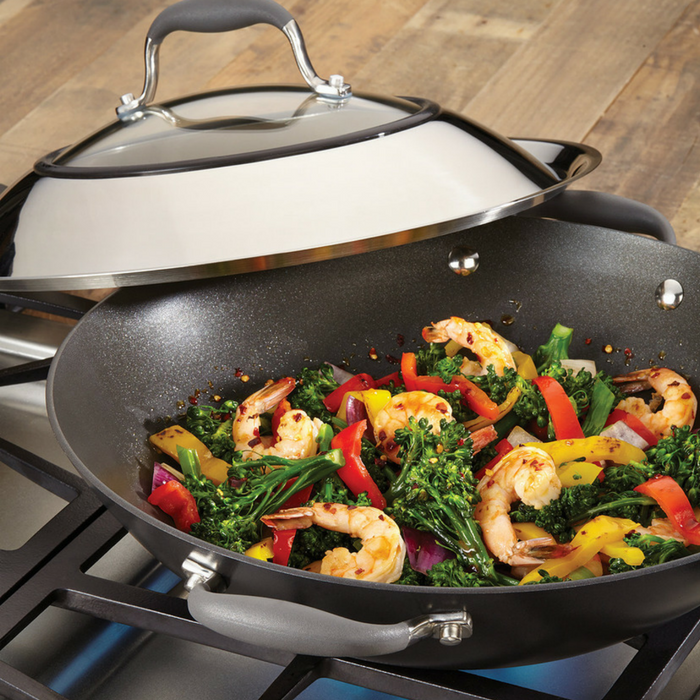 You are here: Home / Instagram / Anolon Advanced Nonstick 14″ Covered Wok Just $29.99! Down From $100! Discover the simple pleasures of stir fry! Superior wok is ideal for stir frying because of large surface area and hard-anodized material that provides great cooking results. Dupont’s Autograph 2 nonstick surface for easy cleanup.